Lemon cream cheese pinwheels from I Wash...You Dry is an easy breakfast dish that the kids can make for mom. Store bought biscuit dough is filled with a sweet cream cheese filling and lemon curd. The biscuits are rolled are tucked into a cake pan together. 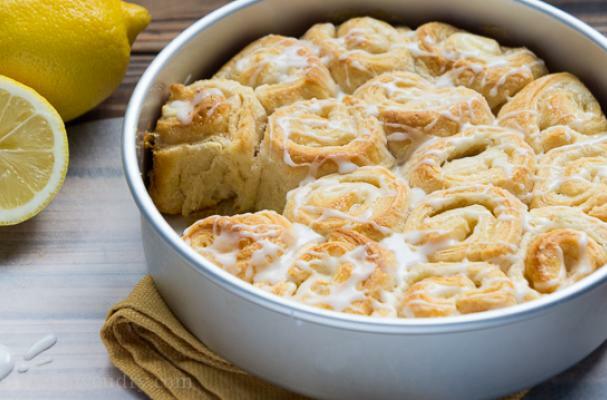 After baking, they are drizzled with a lemon icing. These pinwheels are so good, you might want to make a batch for mom to enjoy all by herself.